Come on Baby, light my tire. Marriage is such a silly thing. You find a human you like and you decide to spend forever with them. Some of them have hobbies, we may not understand at their ages, but we let them, because we love them. My husband is clumsy, he hurts himself all the time. 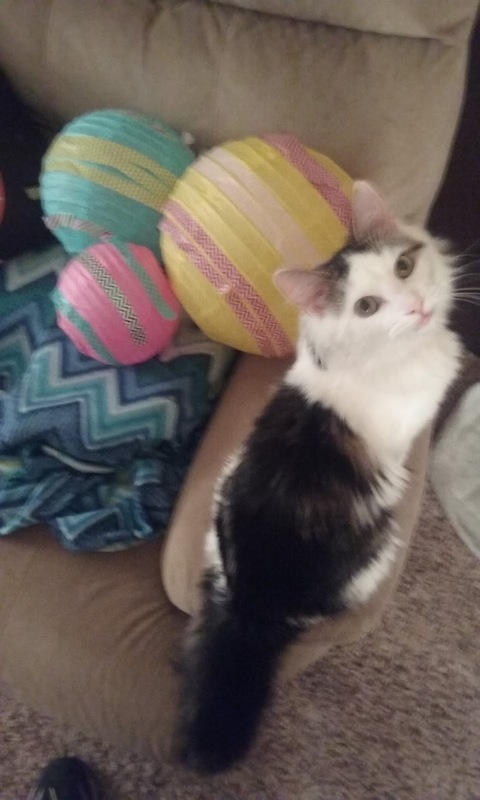 He also loves to ride his bicycle and do tricks. Sometimes the two worlds meet. At 35, I'm worried about him out there, especially since he likes to ride at night. 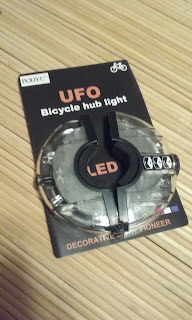 Which is where this UFO bicycle hub light from Poliyu comes in. I need him to be seen and he wants his tricks to be seen. Over the years, I have seen and reviewed a few different types of bike lights. 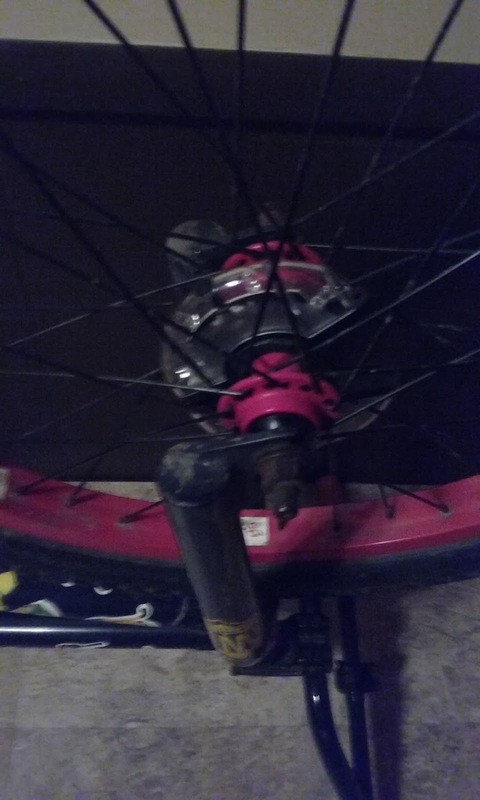 Most screw onto the valves, but this one screws right to the hub. This type is a first for me, and I have to admit I like this style better. 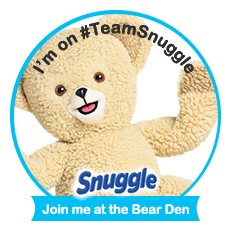 It is round and fits tight with the help of foam strips they include. I can definitely see how it got the name, "UFO." Once you open it, all you have to do is stick the foam strips on the inside, put the batteries in, and then screw it onto the hub of your bike. Depending on the type of rims you own, this could take a few seconds or be a bit more difficult. Always get familiar with your products, before putting them together or securing them to your bike. In this case, you really only have to know where the on off button is and how to use it. Once you push it, you get 2 flashing modes, and a constant on mode. One more push and the lighs are off. This really is a cool LED light show. 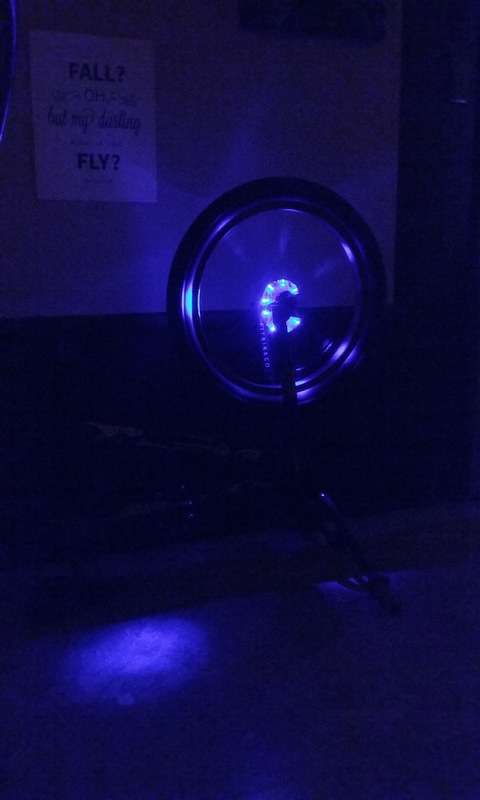 You still need your actual head and tail lights, but if you love night riding like my husband, you will love this light. It hasn't been through any crashes yet, my husband is still healing, but if it happens to mess up, I will make sure to update this post. So far, we love it though and it is working perfectly! We had a blast reviewing this product. I did receive it at a discount in exchange for my honest review. But, all opinions are my own. Thank you so much for reading! Sometimes, your luck is bad, and that bad goes to everything you do. 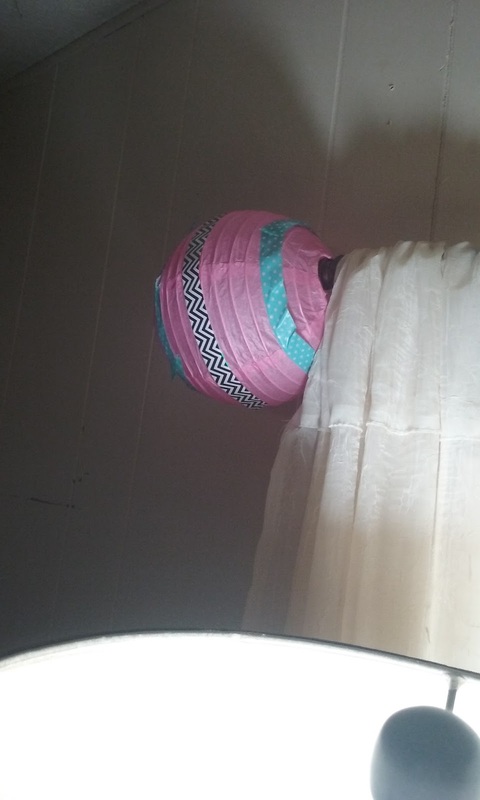 I had a great idea of turning my chinese lanterns into Easter eggs. The following is what happened to mine and what you can do differently. I know I don't have the time to fix them in the way they need to be. I still kind of like them though. Start out with chinese lanterns and things you want to decorate them with. This is where I went wrong. 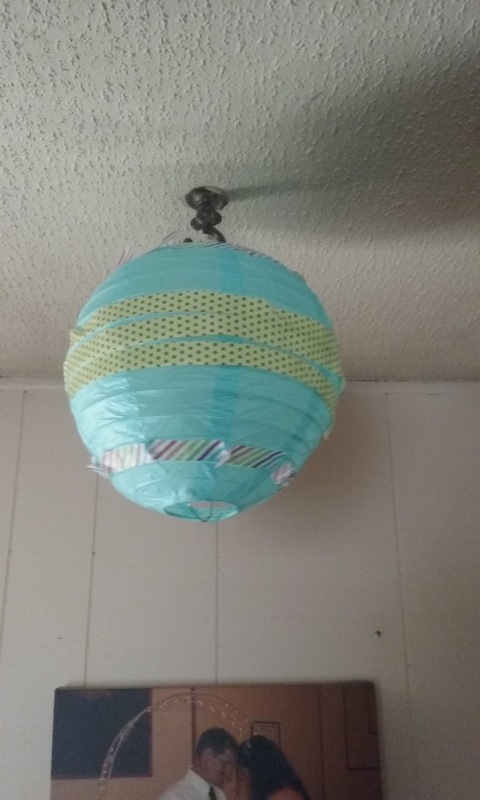 Usually, decor tape will stick to anything, assuming it would here, it was used. 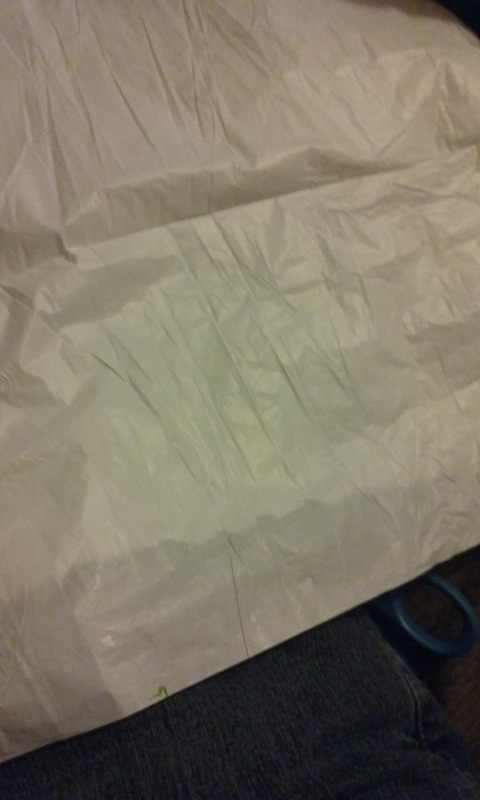 By the time I got it wrapped around one side, the tape was peeling off of the other. It was very discouraging, but seriously adorable when I could get it to stay. 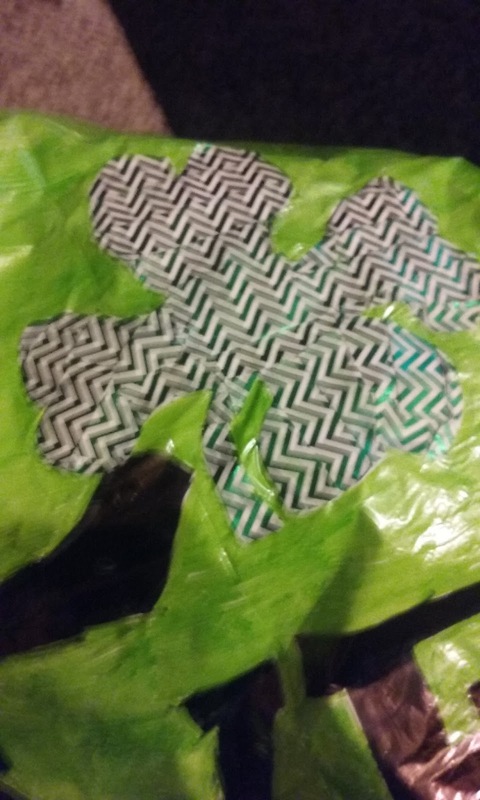 As you can see, I was able to get the tape to stay long enough to take a few pics, but not long after, it was all peeling off. You can use different tape, markers, crayons etc. Anything that will leave a mark and show up would work perfectly. Mine are the 3 ring eggs, but you can do yours, any way you like. If I have time, I am going to do these again in a different way. If I dont get the chance, someone please tell me how the other ways worked out for them in the comments below. Thank you so much for reading everyone, I appreciate every single one of you! Sometimes, life just puts a halt to your plans. 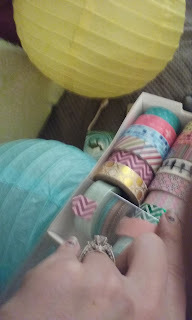 I had planned on doing more crafts and drastically increasing my blog posting. Then, life slapped me in the face. Without giving away too much graphic information, my husband is pretty clumsy. The night before my birthday, he dropped a dinner plate and it popped out of the sink and cut his right hand pretty good. We got the surgery done on that, and then he went back to work and cut off the pinky on his other hand. 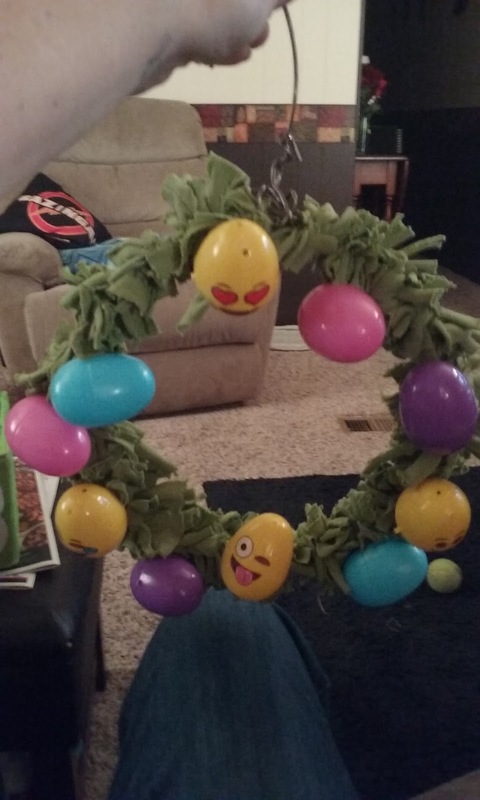 I will admit this wreath is recycled from the St Patrick's wreath. 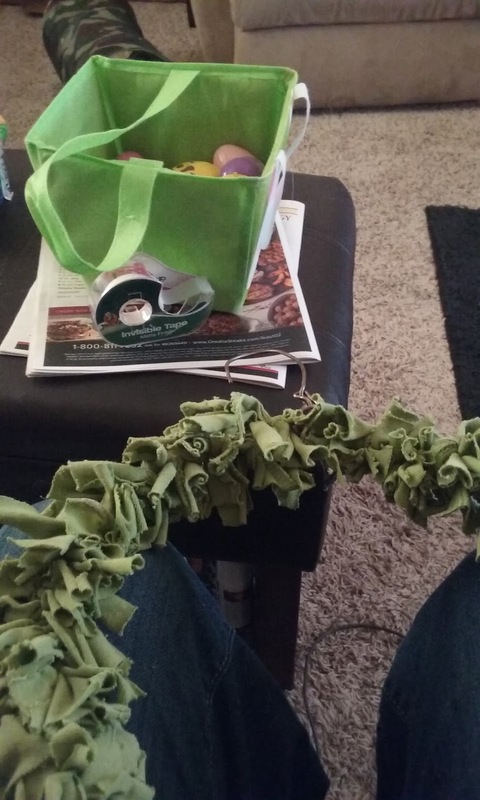 Honestly, there is no shame on this one, recycling is always a good thing and I just plain don't have ennough time right now to sit for hours and make a new wreath. If you need to know how to make this wreath, the post should be a few before this one. 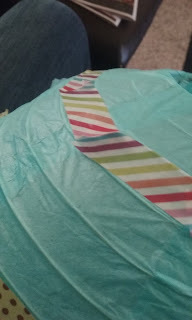 If you don't want to look it up, simply forma circle with wire or a hanger, cut up a green shirt and then tie the pieces all the way around the hanger. Starting from here, I went with what I already had done. 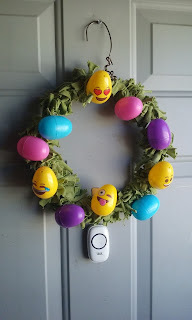 You can use anything you want to decorate yours, I went simple with eggs. 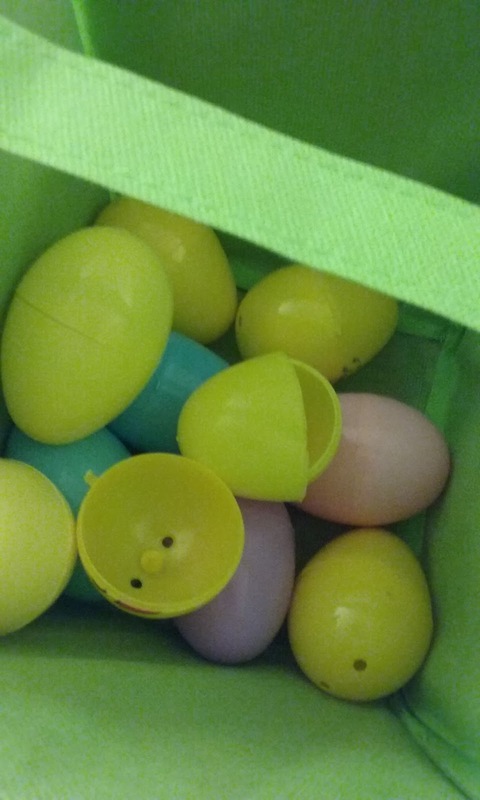 I just closed the eggs with a few of the fabric strips inside. 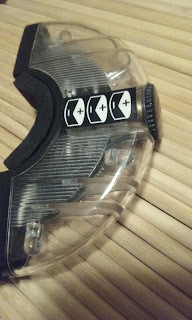 If needed, use some tape to keep them closed or in place. Like I said, the sky is the limit with decorating, you can also do this wreath with Easter grass. That was what my wreath was suppose to be. If I get a chance, I will definitely make one for you guys. 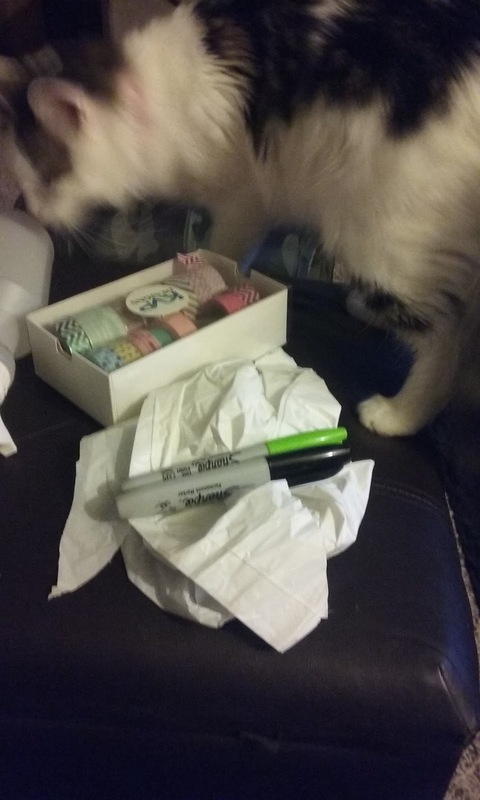 Happy crafting and thank you so much for reading. I appreciate every single one of you, have an amazing day! A few years ago, you wouldn't see my house decorated for anything but Christmas. I mean who has the money to buy all that stuff for every holiday? Most people, I have come to realize, accumulate their items over many years. 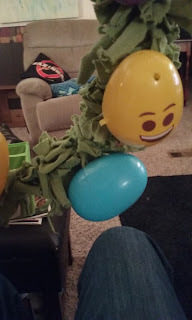 That is what I am doing with these crafts. Every year I want to go bigger and badder right along with the things I made last year. I don't know how hard that is going to be, but I am up for the challenge. This is my first time decorating for St. Patty's day and I have to say, I am LOVING the green. First, measure your mini flag pole, so you know how big (or small) to cut the trash bag to get started. Once you do that, lay out the bag and decided which side you want to cut. This matters, because you can choose to have a flat top to your flag or have them hanging on by the handles. I like both ways. You really have to do them both to figure out what you like. After that, lay it out and tape it all together with clear tape or double sided tape on the inside. 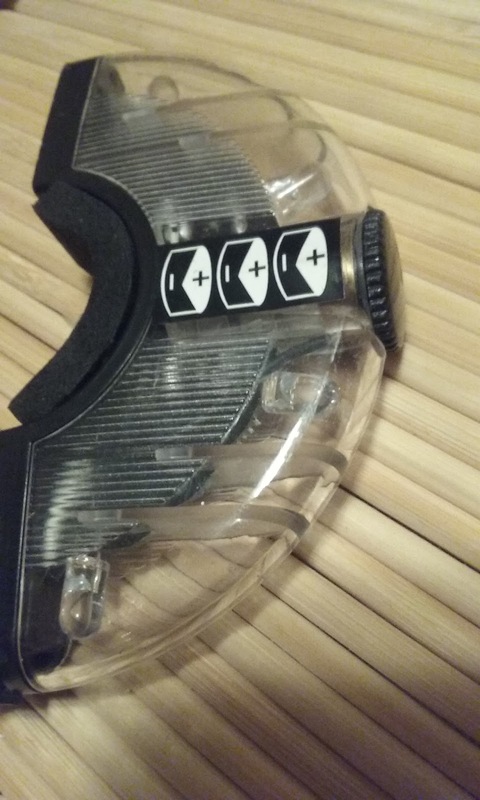 I find double sided tape works the best. 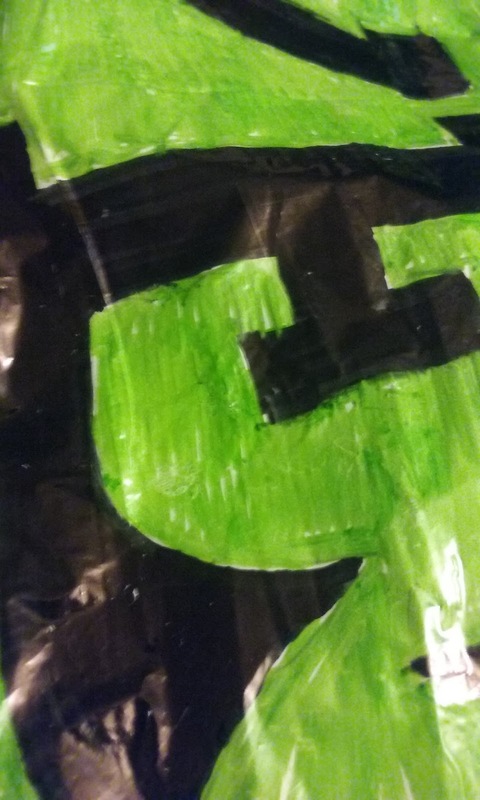 I just used the last of mine so the next flag will be with clear tape. Use whatever you have on hand or whatever you feel works the best. 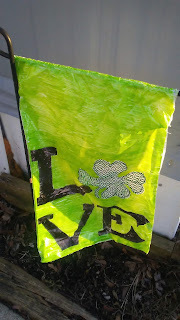 Once you have it all ready, you can find an image to use or just start decorating your flag in any way you want. I chose "Love" because I'm obsessed with that word in my decor and daily life. 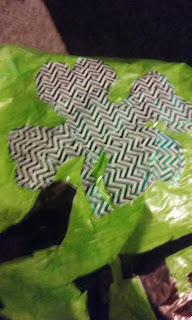 I also used decor tape to make the 4 leaf clover. You can use anything you like, but if you want to do it this way, I found my image on Google. 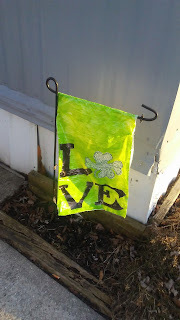 Once you have it all ready, take your flag and tape and take them outside and set them up on your flag pole. You may have to do some adjustments when you get out there. I had to stand ouutside coloring the green with the neighbors wathcing. It was..interesting, but worth it. Well there you go, another decoration down. You can also hang your flags inside, if you don't have a flag pole or a tree to hang this from outside, or if you just plain don't have a yard. I know how that goes, make the best of what you have at all times. Happy crafting everyone and thank you so much for reading my blog. Have an amazing day and if you have any comments and suggestions let me know below.